The last great adventure on Earth is chasing down chaos. And that's pretty much become my job/career. Which is just all kinds of awesome. I've had to dodge out of the way of the world's largest tornado, hung on while the winds of Hurricane Katrina blasted through the city of Gulfport, Mississippi, stepped onto the soil of the loneliest continent on the planet, and tried to stand upright in 172 km/h winds in the middle of the worst blizzard Cape Breton had seen in years. Want to join in? 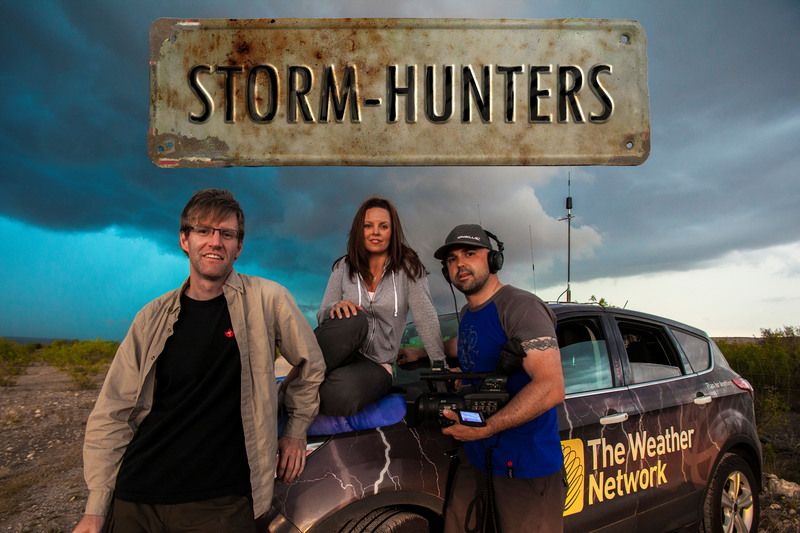 You can (sort of), by watching me in my adventures on StormHunters and Unearthed the Weather Network! Right now I'm working on a number of things, but most importantly, a whole new season of StormHunters and Unearthed for TWN. It's going to get busy throughout the fall, into the winter, and then into the spring. Keep an eye on my Twitter feed for the latest updates. And as always, I'm trying to get more and more writing done on a variety of projects. Keep an eye out for them! Stormhunters Trailer from adam w on Vimeo. Mark has been documenting and investigating severe weather throughout North America for almost 10 years. Mark is now a meteorologist at The Weather Network, and has contribued to (or been interviewed by) the Toronto Star, the CBC, CityTV news, MSNBC, etc. WeatherShack.com is a leading weather station, wireless weather station and home weather stations provider, in addition to other weather instruments. They are well known in the field of chasing and I'm going to be getting my new weather station through them soon! Jody from Chammyz has kindly provided me with a jacket made by his company and I can tell you, it's fantastic! I haven't stopped wearing it for three days. How can you go wrong with a company run by a woman named Storm! I've ordered their spa treatments for my wife and she loves it. I work for these guys now so I HAVE to add them in (besides, it's a great place to work! ).